Red Care Logistics have kindly offered to pay for 50% of the costs for the run plaques. THANK YOU! Successful Solutions to all your Event / Film / TV / High Value / Exhibition & Relocation Logistics / Transport using our own Fleet of Bespoke Vehicles. Dedicated Event / Exhibition / High Value / Vehicle /Specialist Transport & Handling by road / sea & Air. Our Own Fleet of Purpose Built Vehicles for the EU. Redcare Logistics UK provides you with the resources to deliver your project, to your deadline. 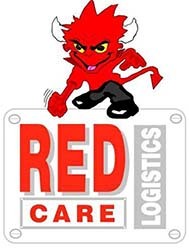 Redcare Logistics UK is a company that is focused on providing the highest quality services to our clients. With our own private fleet of vehicles and drivers,we offer a variety of choices in the movement of your consignments by road, sea or air. Assured, secure delivery is only as safe as the weakest link in the chain. Redcare Logistics UK always put the security of your consignment at the top of our delivery plan. No weak link, simply joined-up thinking with joined-up security. For your pride & joy – whether it be on 1 wheel or 16 wheels – we can relocate Worldwide. From small conference rooms – to complete events – including AV & communication facilities & Server transfers. From 1 van to a Fleet of trailers. Facilities Management – let us take the strain. On site Logistics Solutions. Vans, including Box Tail lifts / Curtainside 7.5t Box Tail lifts / Curtainside 18t Box Tail Lifts / Curtainside Trailers Box Tail lift.